Aside from monitoring the water quality in the heavily polluted Manila Bay, the Department of Environment and Natural Resources (DENR) also has its eyes set on another potential foe in the waters: toxic heavy metals. The post Silt taken from Manila Bay positive for heavy metals appeared first on Inquirer News. The Department of Public Works and Highways (DPWH) on Tuesday began massive dredging to remove more than 225,000 cubic meters of silt and garbage from a portion of Manila Bay. The post Manila Bay rehab enters mechanized phase appeared first on Inquirer News. The post LOOK: Colmenares, progressive groups launch Manila Bay Watch appeared first on Inquirer News. Several food establishments, including a popular fast-food chain and a well-known Filipino restaurant, have been slapped with cease-and-desist orders (CDOs) by the Laguna Lake Development Authority (LLDA), adding to the growing number of companies found to be polluting Manila Bay. The post 20 more firms tagged as Manila Bay polluters appeared first on Inquirer News. FORT DEL PILAR, Baguio City — Businesses led by the country’s biggest shopping mall chain have offered to adopt and clean Metro Manila rivers, which was part of the government’s effort to clean Manila Bay and other waterways, Environment Secretary Roy Cimatu said here on Saturday. The post Top PH companies offer help in Manila Bay cleanup appeared first on Inquirer News. 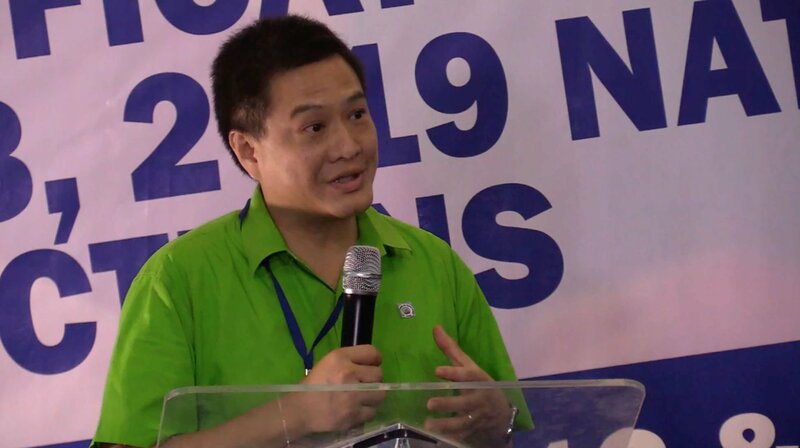 Former Deputy Speaker Erin Tañada warned that copying the blueprint for the Boracay rehabilitation would be disastrous. The post Tañada: Cleaning Manila Bay like Boracay rehab will be disastrous appeared first on Inquirer News. A total of 22 reclamation projects are planned along Manila Bay that will affect — and likely pollute — a 22,000-hectare area of the body of water, an official of the Philippine Reclamation Authority (PRA) admitted to lawmakers on Monday. The post Gov’t processing 22 Manila Bay reclamation projects appeared first on Inquirer News. A total of 17 more establishments in the cities of Manila and Pasay, including the Philippine International Convention Center (PICC) and several hotels, have been cited by the Laguna Lake Development Authority (LLDA) for polluting Manila Bay. The post LLDA cites 17 more bay polluters appeared first on Inquirer News. Vice President Leni Robredo on Saturday praised the ongoing rehabilitation of the hyperpolluted Manila Bay but urge the government to help the people displaced by the program. The post Robredo urges gov’t to aid people displaced by Manila Bay rehab appeared first on Inquirer News. The post PPA offers lot for families displaced by Manila Bay cleanup appeared first on Inquirer News.